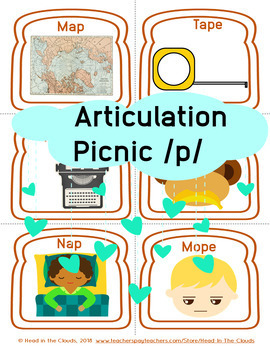 - Sentence builder page “Target Word In My Picnic,” I put in Target Word,” and “I pack a Target Word.” - The targets are in bread shapes for initial and final target words and cheese slices for medial targets to be pretend sandwiches/picnic foods. - All targets are composed of other developmentally aligned phonemes: /b, m, n, t, d, h, g, k/. 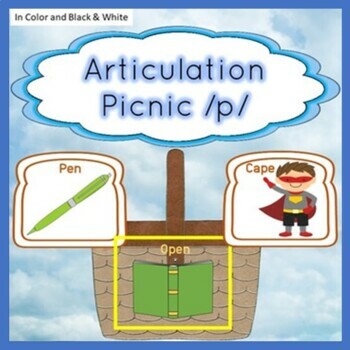 - When students are working at the one word level, they can “unpack” “sandwich" target words from a pile on the picnic basket or placed underneath to appear to be “in” the basket. 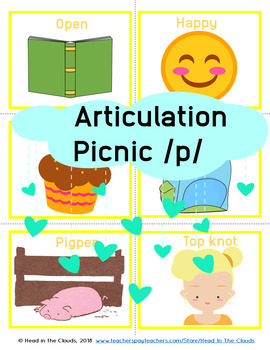 They can also fill the basket by making a pile of targets on the picnic basket. 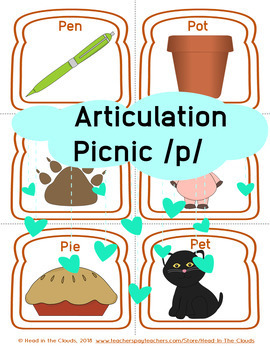 - As students work at the sentence level, students can use the sentence strips on the picnic basket pages. - Students can use two sets to play memory or go-fish games.